To start Golf, where do I begin? 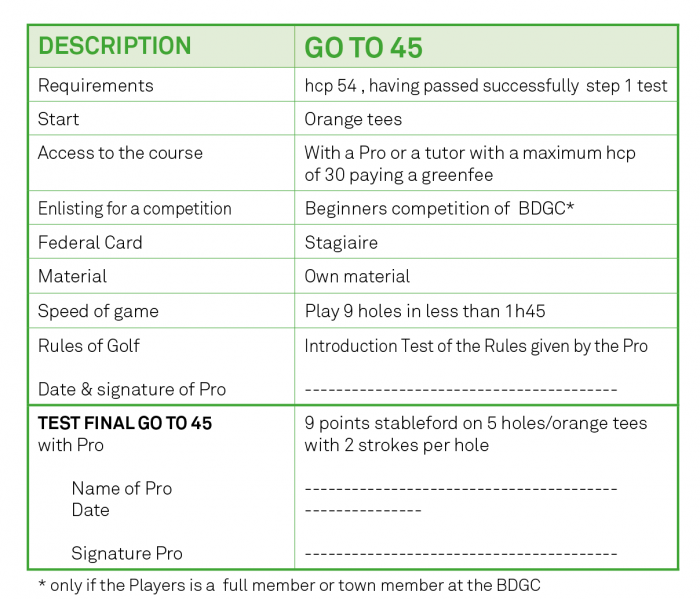 a few basic shots and rules of the game of Golf. 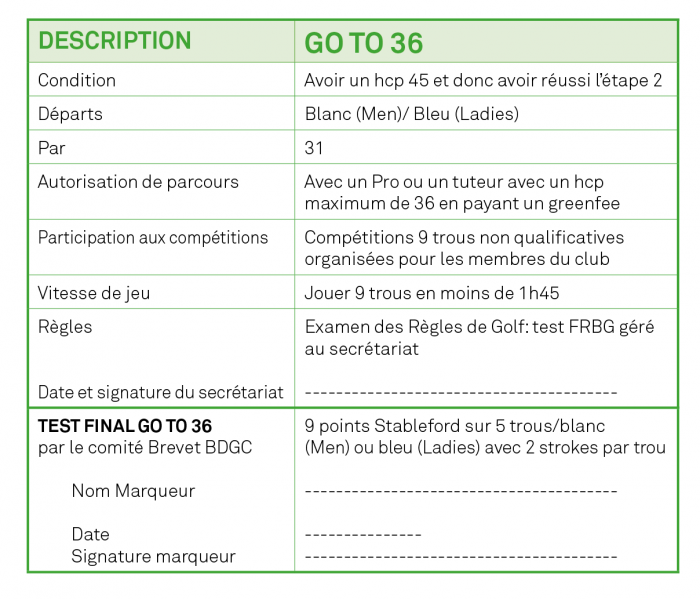 At this level, your Pro will register you as a “stagiaire” member of the BDGC. 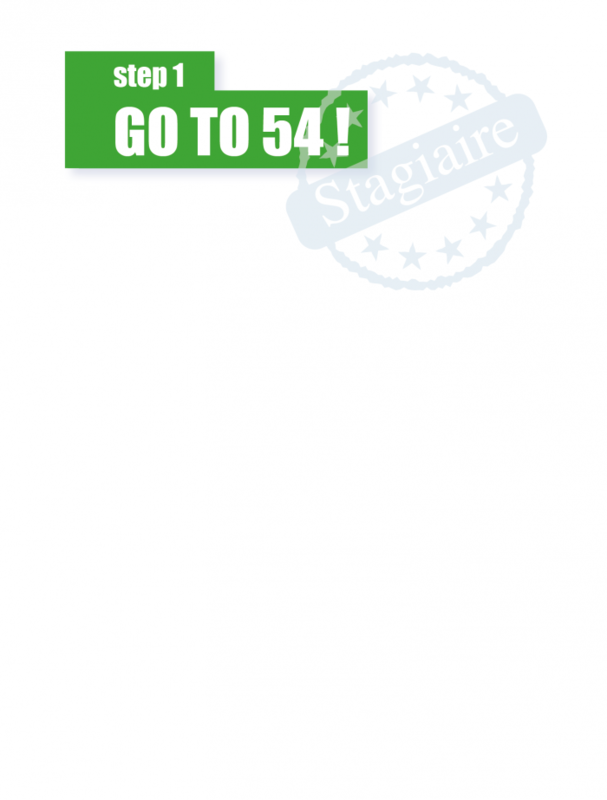 This registration will give you an insurance coverage. Your Pro will teach you the various technics of the game of Golf. He will then bring you to play on our 9 holes course several times. He will also teach you the rules of Golf. 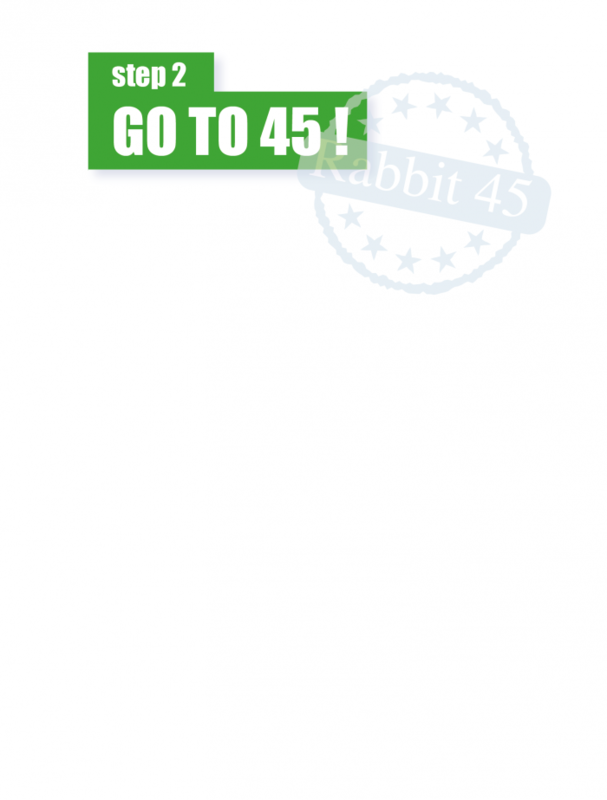 At the end of that first step, you will have to answer to a few requirements that will allow you to access the course but with other players. 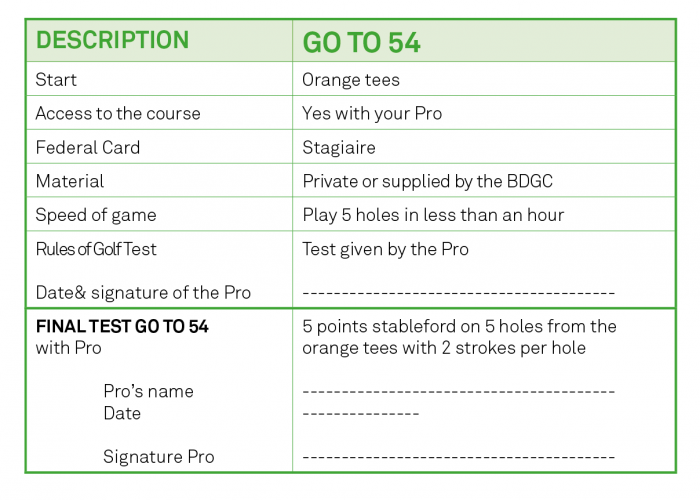 Once you have passed the rules & Regulations test, you can enlist for the 36 handicap test with the approval of your Pro.